Stretching your carpet is one of those things that gets put off until it is almost impossible to ignore it. Carpet with ripples not only brings down the appearance of the room, it also be a safety hazard, especially if you have small children or elderly individuals living in the home. Our customer in Fountain Hills had one room that needed to be stretched. The room had multiple ripples and needed to be stretched in all directions for the best results. 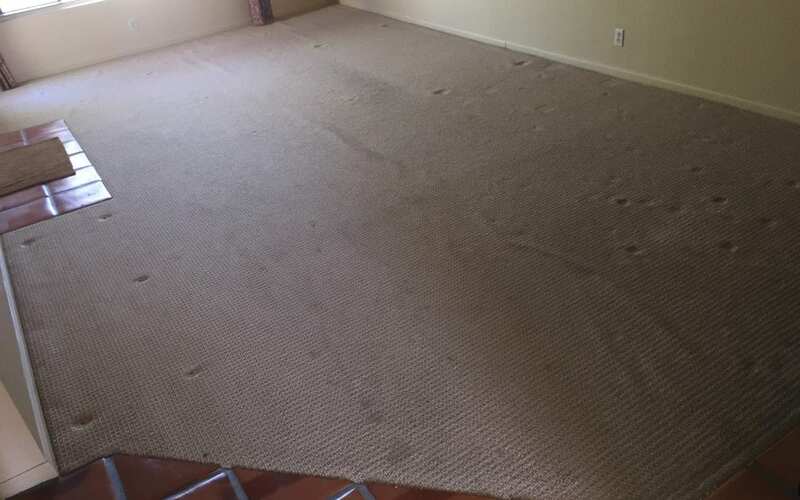 We also provide carpet repair services for pet damage and for burn marks in carpet. Call (480) 360-4430 for more information on our cleaning products and services!